On January 1, 2018, the two Catholic new media initiatives SQPN and Trideo will formalize their status as separate platforms and brands. 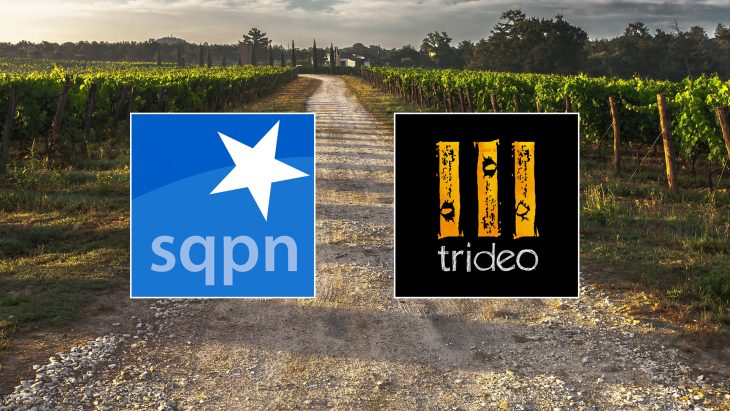 SQPN will continue as the leading Catholic podcasting platform it has been since 2005, while Trideo will focus on the further development of audiovisual productions for television and social media. SQPN, Inc. was founded in 2005 as the Star Quest Podcast Network by Greg and Jennifer Willits and Fr. Roderick Vonhögen. The network was incorporated in Atlanta, GA and quickly became the leading platform for Catholic podcasts, bringing together podcasters and shows about a wide variety of topics. SQPN also organized conventions and conferences to help other people find their voice and spread their message with the help of new media. Trideo started in 2014 as a Europe-based, international Catholic initiative to create audio-visual productions for television, radio and the internet. With its studios based in Amersfoort, the Netherlands, Trideo Media produces a number of TV shows for Dutch television, a number of web series for several media partners as well as content for YouTube, Facebook and for other social media platforms. While the two platforms have worked closely together since 2014, the complexity of working in two different fields of media (podcasting and professional video production) as well as coordinating between the US and Europe have led to the decision to continue in 2018 as independent platforms. As a result of that decision, Fr. Roderick Vonhögen will step down as CEO of SQPN, Inc. and take on the role of creative director of Trideo Media. While the majority of shows and the back catalogue of podcasts will stay at SQPN, Fr. Roderick’s own shows (Catholic Insider, The Break, Geek Week and The Walk) will continue on the Trideo platform as ‘The Daily Breakfast’, available every day in both audio and video format. Current subscribers to these shows will continue to receive future episodes without having to re-subscribe to new feeds. SQPN will continue to publish Secrets of Doctor Who and Secrets of Movies and TV Shows and develop new shows that explore the intersection of pop culture and faith. SQPN will make an announcement regarding its future plans at a later date. Both organizations thank their audiences for their ongoing support of their mission over the years. Current donors of SQPN will continue to help the Star Quest Podcast Network maintain its current shows and the back catalog and develop new shows, while patrons of Fr. Roderick on Patreon.com/FatherRoderick and donors to the European foundation will enable current and future Trideo productions. To stay informed about future productions and initiatives of both platforms are invited to subscribe to the newsletters of SQPN (click here) and of Trideo (click here).